Garmin International Inc., a unit of Garmin Ltd. (NASDAQ: GRMN), today announced the Forerunner 225, the first Garmin GPS running watch that measures heart rate at the wrist. The Forerunner 225 will integrate industry-leading optical heart rate technology developed by Mio, an award-winning performance wearables brand acclaimed for EKG accuracy demanded by athletes everywhere. The Forerunner 225 features a colorful graphic interface showing runners their zone and beats per minute at a glance, and a built-in accelerometer that provides distance and pace data for indoor running with no need for a separate foot pod. To keep runners active between workouts, it doubles as an activity tracker counting steps, calories and distance. A move bar with vibration alert reminds users when they’ve been too inactive, and sleep monitoring for ample recovery. 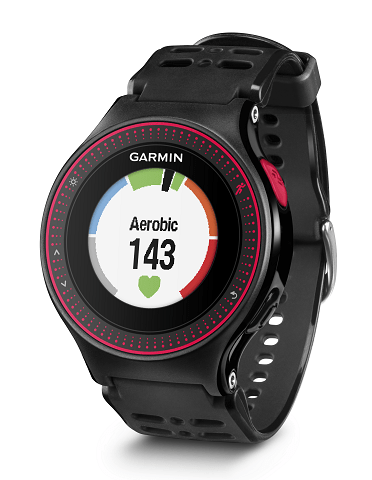 The Forerunner 225 will be available in black/red and will begin shipping in Q2. It will have a retail price of INR 26,500.